WASHINGTON — After a week of scandal and internal turmoil at the Department of Veterans Affairs, veterans groups and agency employees enter this work week wondering exactly who is in charge of the nearly $200 billion bureaucracy. Is it VA Secretary David Shulkin, who in the last few days saw his reputation tarnished by a withering inspector general report, his top deputy threatened by political rivals, and his chief of staff abruptly resign? Is it a group of White House insiders who on Friday installed a new No. 3 at the department and took over official messaging for VA, removing Shulkin’s statements from online sites and replacing them with one that doesn’t even mention the secretary? Or is it someone else within President Donald Trump’s administration, which for the last week has ignored press questions on the embattled department while they deal with other controversies in the West Wing? Vivieca Wright Simpson, who had served at the department for 32 years, has been under scrutiny since an IG report accused her of doctoring emails last summer. Since Wednesday, the only clear answer about the future of VA leadership is that the department no longer enjoys the drama-free reputation it had in 2017, when Trump repeatedly highlighted VA reforms as one of the most successful points of his presidency. Shulkin — who has been repeatedly praised as a man of integrity and action by lawmakers since his confirmation one year ago — has faced harsh criticism since the release of the inspector general report, which condemned his decision to bring his wife on an overseas department trip at taxpayer expense and spend several days sightseeing in between meetings. That travel scandal opened the door to a series of power plays within department leadership that had been quietly brewing for months. Now Shulkin appears to be fighting for his political life, although, in a Friday interview with Military Times, he insisted the White House was still backing him. But even Shulkin could not say who is with him on that goal, acknowledging that the department has high-level officials he believes may be working against him. He did not offer any specific names. For months, questions have swirled among the veterans community about the involvement of Darin Selnick, veteran affairs adviser for the White House Domestic Policy Council, in VA operations. He and other White House staffers have met with key veterans groups in a series of roundtables without any of Shulkin’s key advisers present, to discuss long-term policy plans. 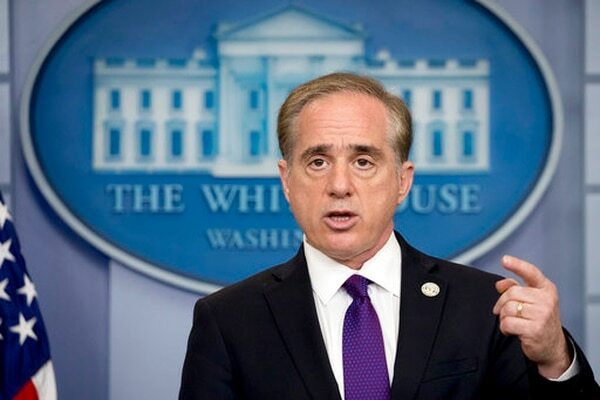 Last month, after Senate lawmakers complained about conflicting messages from the administration on proposed VA health care reforms, the White House issued a two-page policy paper that appeared to contradict Shulkin’s own comments on the topic. And this week, the Washington Post obtained a copy of an email from White House advisor Jake Leinenkugel that recommended action against several Shulkin confidants to put the secretary “on notice” that he needed to fall in line with other administration officials’ priorities. Leinenkugel has been a fixture at White House veterans events for much of the last year, even as VA officials struggled to define his exact role with the department. In the email, he said Shulkin accused him and Camilo Sandoval, another senior Trump adviser, of being spies for political rivals within the administration. Selnick is a former senior adviser for Concerned Veterans for America, which has ties to the conservative Koch brothers network of political activism efforts. The group has been vocal in recent years supporting legislation to allow veterans more access to private-sector health care at government expense, and dramatically scaling back the VA network of hospitals and programming. Since the IG report was released, none of the men have made any public statements about the controversies or their role in crafting veterans policy. It’s unclear if she submitted a statement on her resignation and whether official department channels would release it. Since Wednesday, VA communications appears to be working against Shulkin and his supporters, issuing instead only statements cleared by the White House. On Wednesday, after the report release, Shulkin posted a lengthy statement online defending himself and attacking the inspector general. It was taken down by other VA officials within an hour. It was replaced by a much shorter statement by VA spokesman Curt Cashour, who has come under criticism within the community for a series of releases that seem to be at odds with Shulkin’s own words on a range of issues, including medical marijuana research and department accountability issues. Shulkin’s statement on the move did appear on the Office of Accountability’s Twitter account, which has only 150 followers and fewer than 35 public postings. Shulkin’s own @SecShulkin Twitter handle has more than 52,000 followers but hasn’t had a new post for 10 days. Rieckhoff said he thinks that is impossible now. “This was already a dysfunctional department,” he said. “They’ve had so many top spots unfilled for so long that VA already has trouble functioning. Joe Chenelly, national executive director for AMVETS, said he is worried that there are two distinctly different VA’s operating right now: one led by Shulkin, and one led by a series of officials who most of the public doesn’t know. “Only one has worked with us, the organizations representing the interests of more than 20 million American veterans,” he said. “That’s the VA led by Secretary Shulkin, the doctor appointed by the president and unanimously confirmed by the Senate. If approved, the VA budget for fiscal 2019 would reach nearly $200 billion, more than double what the department spent just 10 years ago. Congressional leaders on veterans issues, meanwhile, remain stalled on sweeping health care reforms that Shulkin — a practicing doctor and the former head of the Veterans Health Administration — had made his top legislative priority for the past year. They had hoped to move forward on the issue in coming weeks, but the unclear message from VA leadership on what plans will gain Trump’s support has now thrown that schedule into doubt. Late on Friday, officials at the American Legion put out a statement on social media noting that they are “100 percent” opposed to the privatization of VA, a message that appeared targeted at conservative activists pushing for more aggressive health care overhaul plans than most of the mainstream veterans advocacy groups (and Democratic lawmakers) support. 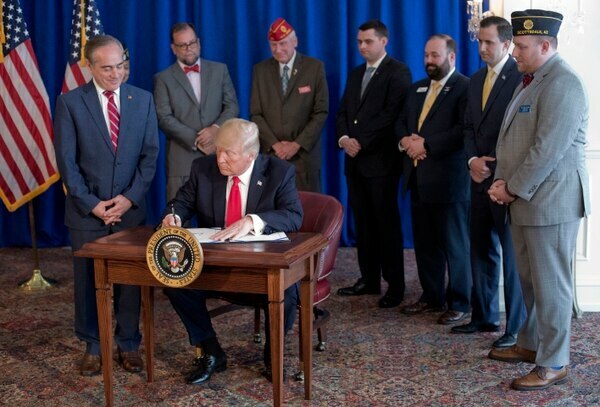 The Legion and AMVETS are among a small group of veterans advocates who meet regularly with Shulkin to discuss those types of policy priorities. Whether the next one will occur on schedule with the secretary in attendance has not been confirmed.